The UCF Libraries, in collaboration with Department of Modern Languages, is requesting $137,500 ($140,000 less a $2,500 cost share from UCF Libraries) for the one-time purchase of Mango Languages Learning. This database will benefit UCF students and faculty, especially in programs including Modern Languages, International Affairs and Global Strategies, College of Business Administration, Public Affairs and International Studies. 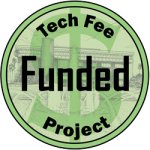 Initially Mango Languages Learning is only available on an annual subscription of $30,000 based on UCF’s FTE, but after careful negotiations and the opportunity to compete in the Technology Fee process, Mango offered a one-time purchase model with a nominal maintenance fee. UCF owns the content and all lessons in perpetuity. Purchasing the contents outright and not having to pay a substantial annual cost makes this offer an exceptional offer. Mango Languages and Learning is both a database and a self-learning software. It includes 60 languages with lessons that teach repaid real-world conversation skills with extensive depth in new languages for students. Mango Languages will allow fair use of the content for educational purposes. It can be easily used online on a desktop or as mobile app, making it versatile in supporting students learning on the go. Access would be available to all UCF students and employees, with off campus access enabled by Shibboleth authentication. Maintenance of this collection requires a small annual platform fee that is typical for digital collections of this quality. UCF Libraries will fund this annual fee from existing funds. All content and functionality associated with Mango Languages Learning will be hosted by Mango Languages, so there will be no new demands on UCF staff or infrastructure. As a language learning databases with self-paced lessons, Mango Languages Learning is different from the other Library databases which are primarily delivering research content. Mango Languages Learning has a true broad appeal and can benefit all UCF users who are interested in learning a foreign language or as a teacher teaching any foreign language or teaching English as a second language. Mango Languages Learning can be accessed by an unlimited number of simultaneous users, and there is no limit to number of downloads. Its content will be available to all UCF students, faculty and staff anywhere, anytime, 24/7. UCF will own the lessons and contents, and therefore meet the instructional and research needs of the UCF community well into the future. The online materials will also benefit UCF Regional Campuses, online courses, and distance education programs. Students and faculty will be able to discover Mango Languages by searching the UCF Libraries databases, Library Research Guides, and internet search sites linked to our catalog such as Google. All content and features will be accessible through the Mango Languages user-friendly interface that provides options to browse by subject, author, or title. All lessons offered are interactive, with audio and visual enhancements. Mobile apps make the lessons easily portable on a personal device. Mango Languages Learning is both a database and self-learning software. It brings together innovative technology with the creative lessons designed for conversational skills and grammar in 60 languages. The ESL modules offer English lessons in 16 foreign languages, which facilitates non-native speakers to learn the English language in their native language environment. Students in the Hospitality & Tourism program can use the vocabulary tailored to the industry and interact with international residents at hotels and other events anywhere in the world. Students who aspire to work in the law enforcement sector can acquire legal terminology in languages such as Spanish, to make them more marketable and more effective in their profession. The Medical Spanish Program in Mango Languages allow students in programs such as Nursing, Health Services, and the College of Medicine to communicate with more patients directly and accurately. Ms. Julie Pomerleau, an Associate Instructor in French and Spanish, Ms. Kacie Tartt in Modern Languages and Literature, and Dr. Keith S. Folse, Professor in TESOL each wrote a letter of support, outlining the benefits of Mango to the courses they are teaching and to the students learning. The UCF Libraries is committed to work directly with faculty and the Faculty Center for Teaching and Learning to publicize these materials. The Libraries will offer informational materials to distribute during various events, such as the Faculty Development Conferences. In addition, librarians will instruct students about Mango Language Learning during Information Literacy sessions and orientations. The UCF Libraries will measure the success of Mango Languages Learning through usage reports and satisfaction surveys. Statistical reports will track which titles are used and the number downloaded. Selected faculty and students will be asked for comments these products. It is expected that usage will increase by 10% to 20% per year in the first three years. The UCF Libraries does not have a product similar to Mango Languages Learning. It is expected that students and faculty will find the database highly useful. The UCF Libraries will provide training on the use of the database through a host of outreach opportunities to both students and faculty. Bibliographic instruction sessions, face-to-face reference sessions, and LibGuides will all be used to promote the collection and provide needed instruction. The requested funds will cover the entire cost to purchase perpetual access to Mango Languages Learning. The Libraries will catalog the content, maintain links, and support access. Any recurring costs for maintenance of the collection will be paid for using library funds. Content is hosted by Mango Languages, and there is no impact on staff resources. The requested $137,500 in technology fee funding combined with the $2,500 UCF Libraries cost share will cover the entire purchase of Mango Languages Learning. There are no additional charges for the initial purchase. The UCF Libraries will cover the annual platform fee that is common for large digital collections of this quality. All content and functionality associated with Mango Languages Learning will be hosted by Mango Languages, so there will be no new demands on UCF staff or infrastructure. The initial cost per student simultaneously served is $2.31 ($140,000 / 60,821 = $2.31).As low as it may appear, this price per student could be even lower because there is no limit to the number of times students and faculty will access the products over time and UCF will have perpetual rights to the content, and therefore making the acquisition of this database an exceptional offer.